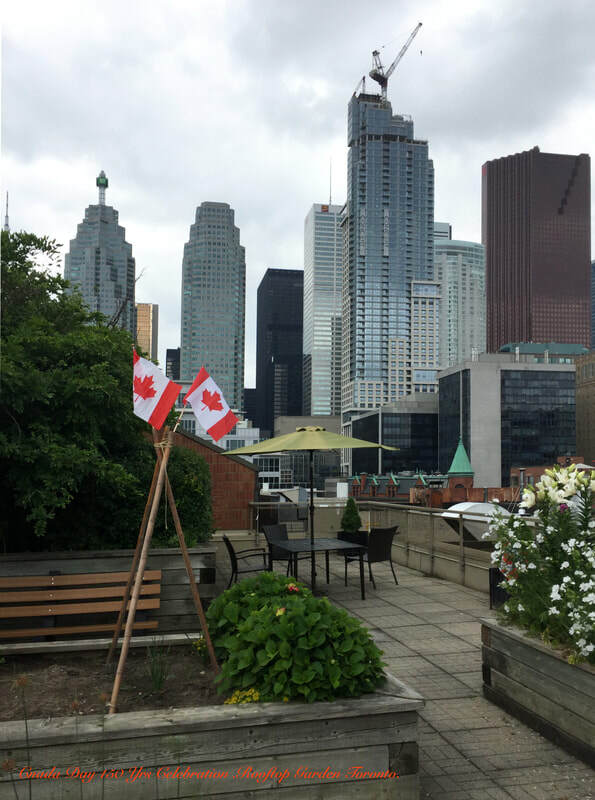 While maintaining liaison with its parent body, now formally the PAL Canada Foundation, PAL Toronto has become its own entity. PAL Toronto and its volunteer Board of Directors operates the affairs at PAL Toronto with an added supportive housing service funded by The Ontario Ministry of Health and administered by the Dixon Hall Agency. 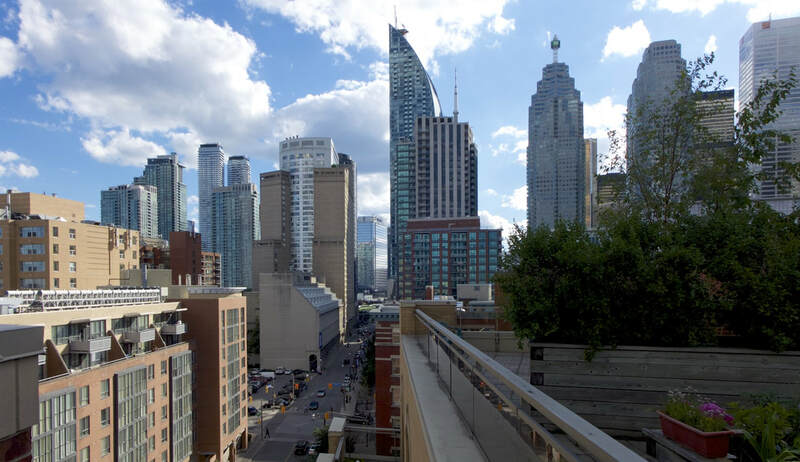 PAL Toronto offers a collegial environment with a wide range of services, accessible equally to all residents regardless of income or public prominence. Residency is not restricted to those needing subsidized housing. There are 205 units, in a variety of bachelor, one- and two-bedroom units. Among its residents are actors, writers, musicians, technicians, producers, directors and designers from every branch of the arts professions. 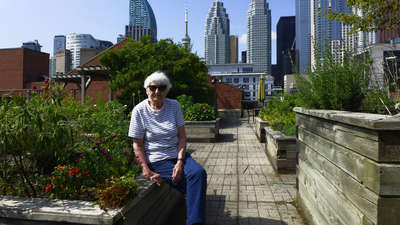 Some of the residents are pioneers of Canada’s cultural history, and are recipients of the Order of Canada, the Governor General’s Performing Arts Awards and distinguished international, provincial and civic honours. From the beginning, PAL Toronto has been about more than providing a home and care service for performers. An equal commitment is to nurture and preserve the ethos of ‘show business’ to sustain the activities, common history and familial ties which bond this unique community. Life at PAL Toronto reflects this priority – from its community lounge ( The Crest Theater / Green Room), equipped with professionally-designed stage facilities hosting live performances by both residents and visiting artists, to the residents’ pub featuring cabaret performances, to the library stocked with popular reading and arts reference materials, to its exercise spaces, arts studio, hobby shop, roof terrace gardens – all these enterprises organized and manned by resident volunteers. After 24 years in operation, PAL Toronto is now losing the sick and most frail to nursing homes where they are cut off from their family of friends. 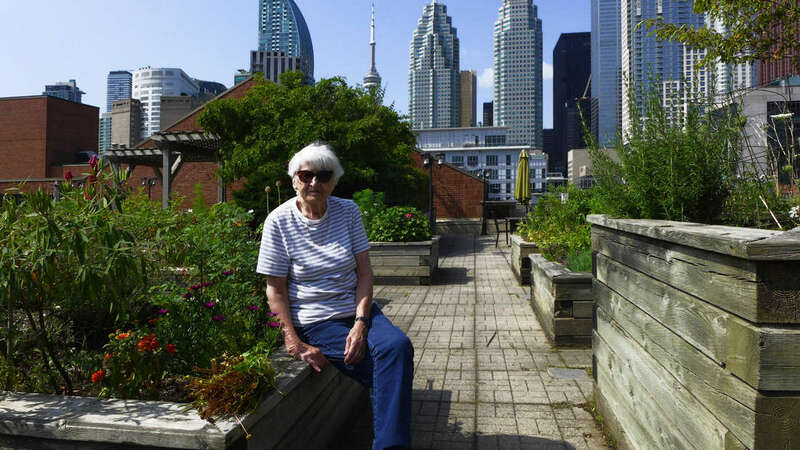 PAL Toronto is endeavoring to continue moving forward, determined to raise funds to provide nursing, health care and food services to support these residents in order that they remain living independently in their homes. Another plan in development by the board of directors, is the inclusion of an assisted living element – PAL FUTURE. PAL Toronto looks to the future with continued commitment to truly “care for our own” and conduct broader activities lobbying for the arts politically as well as artistically. Doing research for a Performing Arts Lodge in Canada, I had spoken to people at the British Equity Actors Home in England, and from their experience, decided that a home here must be located downtown so that residents could keep in touch and work in the industry. 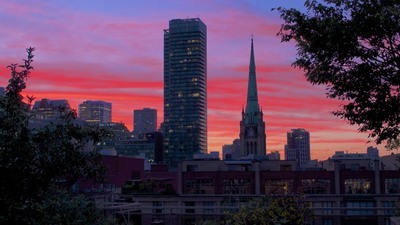 Talking to a good friend, architect Peter Webb, who designed both the Royal Bank and CIBC buildings, he advised that the cost of a Toronto downtown location would mean that the footprint of the building would have to use the entire lot and there would be no recreational space at ground level. He recommended that if the building had a flat roof it could be used as a recreational space. I met Val Kuchar through friends at Queens Park. He had been an architect for the Ontario Ministry of Housing but left to form his own company, and we hired him to help us build PAL Toronto. 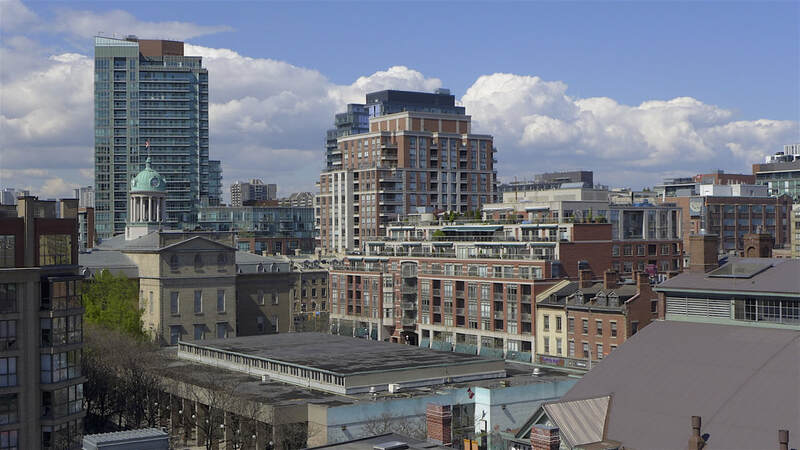 After six attempts to build at various locations in Toronto, we found the Esplanade site and the Province passed the budget for the land and 205 apartments. Val then asked what kind of building we wanted. I asked that being in old York, we should use the colour of bricks used in the surrounding buildings, that we have a flat roof, that the elevators go to the roof level, and that we have gardens. The gardens were to be raised so that the elderly could garden without bending, even in wheelchairs or sitting on their walkers. Val gave us all that we asked for and it has been a great success. 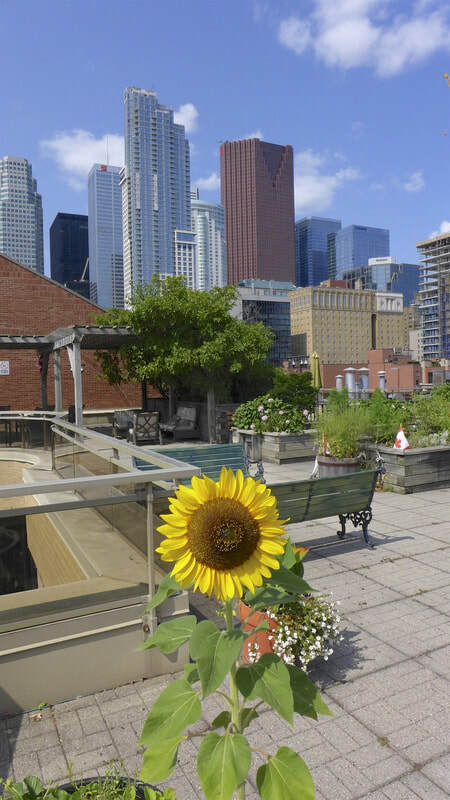 I think we were the first building in Toronto to have a green roof, 25 years ago. Katie Kirkup, Choirmaster, has always made it clear that everyone can sing! The voice is a muscle, after all, and there’s no question that we all sound better than when we first started. It’s a drop-in choir so if anyone wants to come and join us, they are more than welcome. We meet on Monday afternoons from 3:00pm to 5:00pm and have a break with tea, coffee and treats – a lot of which have been provided by choir member Lindy Kentish. Resident, Bob Ashley, who is a a music director and composer in his own right, volunteers his time to accompany us on piano. We worked on one of Bob’s pieces, ‘Aimee’, which he originally premiered at the Charlottetown Festival in 1981. The sense of community that comes from singing together has been a real boon and asset to PAL. Opened to PAL residents and members in good standing. All voices are welcome - no need to read music. We want you! Mark your calendar contact Elva Mai Hoover 416 368 9535 for more information.